One of my best hot summer day pastimes as a child growing up in the industrial city of Sheffield in the North of England was sitting in the middle of the terraced housed street where my great-aunt lived and playing with the tar that bound the cobbles. The warmth of the sun made it all gooey and with the help of a Popsicle stick the tar could be plucked up and dragged every which way. 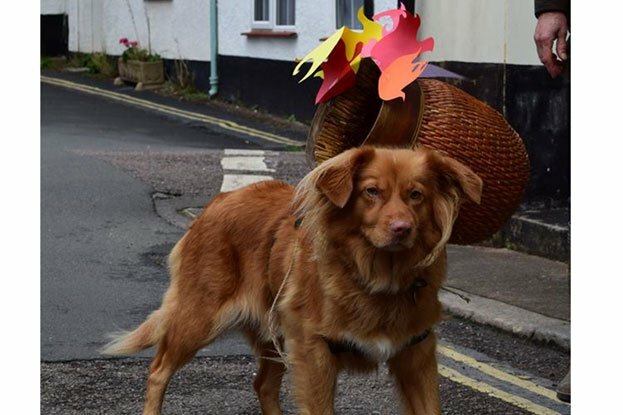 It’d take more than a Popsicle stick to handle the amount of tar that could potentially flow down the narrow winding streets of little Otterly St. Mary every November 5th. 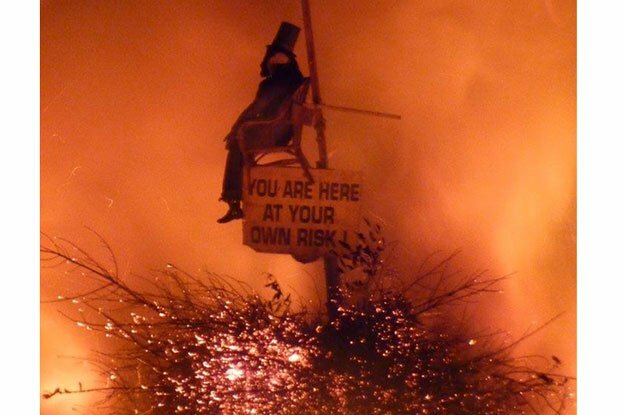 The small Devonshire town is home to a British custom that is not for pyrophobes. 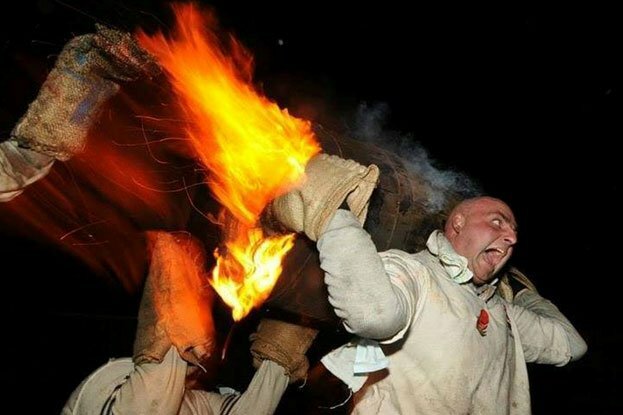 And I don’t mean Bonfire Night – the well known annual tradition of burning an effigy dressed as Guy Fawkes (the man who tried to blow up the Houses of Parliament back in 1605). 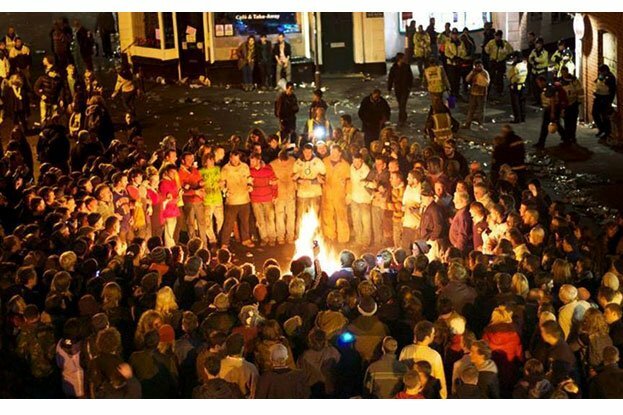 No, as long as a stray Catherine wheel doesn’t slip down the back of your coat, Guy Fawkes Night is tame compared to Otterly’s annual Tar Barrel races. 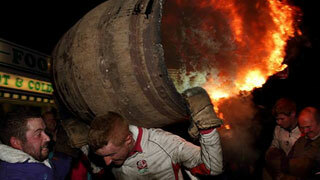 Since the 17th century, the strapping menfolk of Ottery have been carrying 17 flaming tar barrels through the streets. 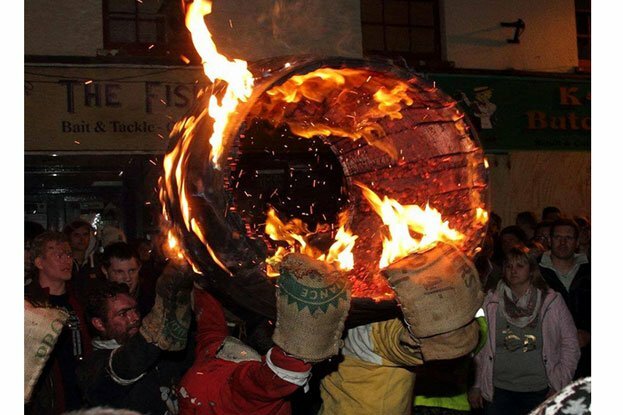 In the weeks leading up to the festive event, the barrels, each of which are sponsored by the town’s main pubs are stood outside of their sponsors doors and soaked with tar. 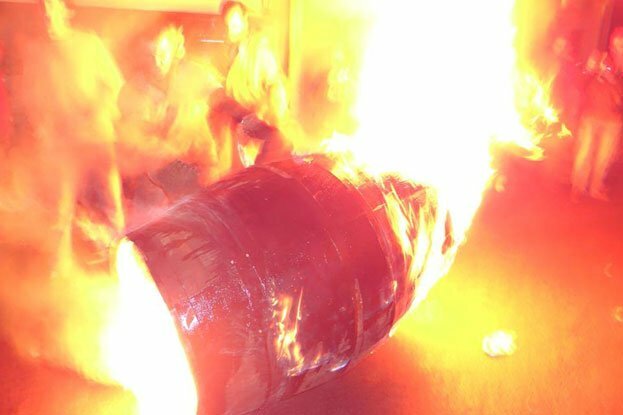 Then on November 5th, the barrels – the heaviest of which weighs about 60lbs. 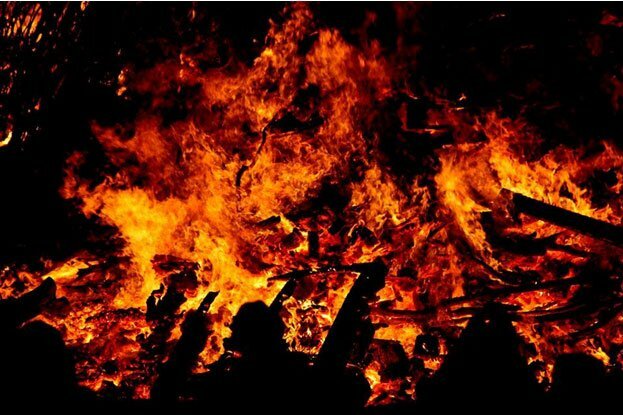 - are set afire, hoisted onto the back of a willing local and borne at a sprint through the streets to the cheers of the vast crowd. 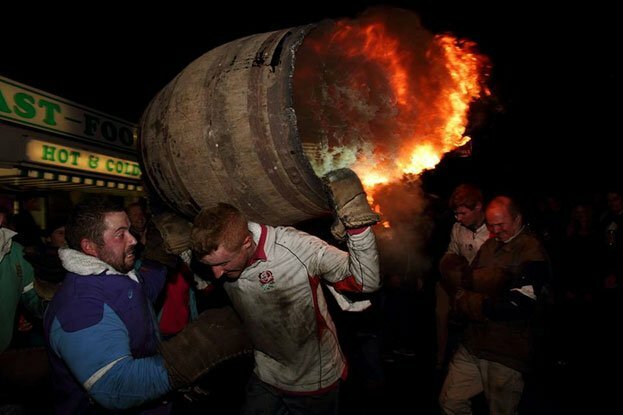 It is thought that the festival began as a pagan ritual to cleanse the streets of evil spirits, and until a couple of hundred years ago the barrels used to be rolled through the streets. 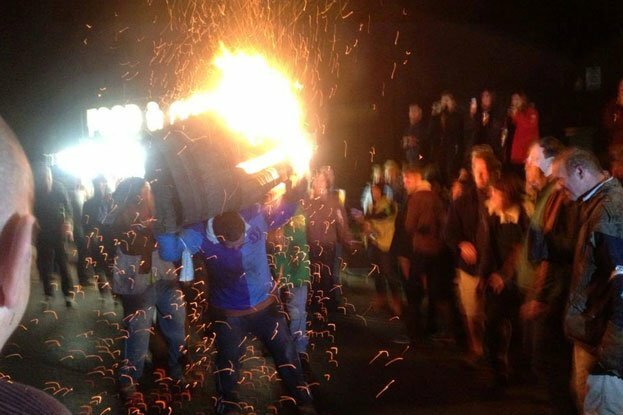 Then some Devonshire daredevil decided that it’d be a barrel load more fun if they were carried – a privilege which, by the way, is granted only to true Ottregians (a local to Otterly). Jun: We say sorry a lot. Sorry. Sep: Will Scotland get a divorce? Nov: What's in a Name? Aug: Telly-inspired Travels through the U.K.
Mar: My Kingdom for a New Parking Spot!